Brinker & Doyen, L.L.P., has represented insurers since the firm’s inception over fifty years ago. Brinker & Doyen, L.L.P., offers a wealth of knowledge and experience with insurance coverage issues. 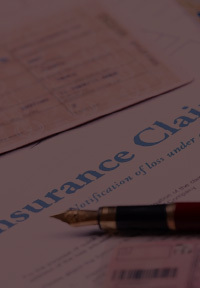 The firm has represented insurers since the firm’s inception. Insurers engage the firm to provide opinion letters, for coverage analysis or to assist them with declaratory judgment actions. Our firm has built a database of our opinion letters and legal memoranda. The database allows us access to our confidential work product spanning several years and potentially saves time and expense by avoiding duplication of research for certain aspects of insurance coverage issues. In addition to the usual on-line services, the firm also has online access to insurance cases, periodicals and treatises from across the country. One of the potential risks that our insurance clients are particularly sensitive about is extra contractual liability, including bad faith. We are often asked to consult on third party claims being defended by other law firms where there is potential excess exposure or other concerns about how the claim was handled at the claim or suit phase. We have also seen new areas of litigation come to the forefront in recent years as technology continues to advance and carriers are willing to underwrite new risks. Potential risks and liabilities heretofore unknown have been created and have raised a myriad of insurance coverage questions when applying traditional property and casualty policy provisions to e-commerce, damages relating to software and claims of injury to intellectual property.